Expedia has some excellent Mondello Beach packages ready for you. Combining your flights and accommodations is one of the easiest ways to save cash on your trip. 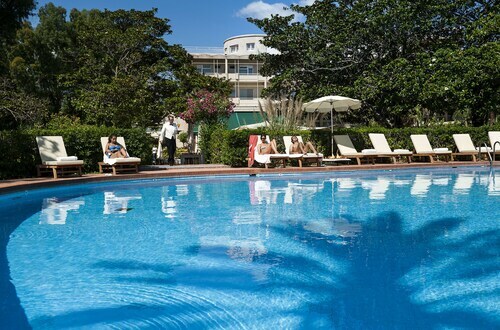 Smart vacationers who grab a package deal on Expedia can save as much as C$590*. We have more than 400 partner airlines and 321,000 worldwide properties to choose from across the globe, which means your dream vacation is just at your fingertips! There's no end to the number of fantastic things you can do when you visit a new place. So why not get your trip to Mondello Beach off to a cracking start by taking a look at some of our top tips? After all – out there starts here! History has much to teach us. Drink in the knowledge and become more familiar with the past at Museo Etnografico Pitre. There's an excellent range of things to do in and around this destination. Chase that tricky hole-in-one or just enjoy a few laughs at Mondello Minigolf. A fun day out for the entire family, all that's left to do is grab a putter and try out your skills! Still got time to spare? Try to envisage the terrific secrets hiding within the walls of Chinese Mansion as you admire its gorgeous facade. Knowing you have a comfortable place to put your feet up on your cheap vacation or luxury getaway makes all the difference. 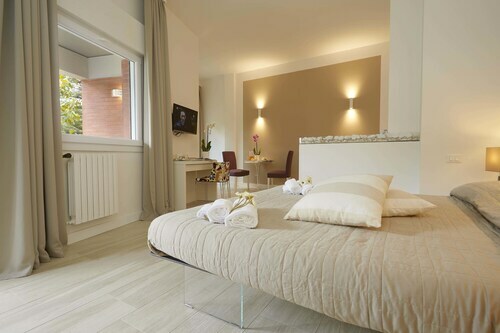 Fortunately, you'll discover 9 accommodations in Mondello Beach. Book now and select the ideal one for you! 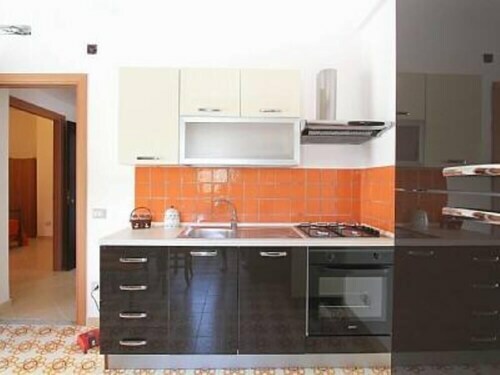 If you need to watch your bank balance, why not look into inexpensive accommodations like the Il Girasole Bed and Breakfast (Via Pazienza 33/A) or the Baglio Busalacchi (Via Pazienza 33 A)? Both have great reviews! On the other hand, if you haven't treated yourself in ages, why not now? The Mondello Palace Hotel (Viale Principe di Scalea) and the Splendid Hotel La Torre (Via Piano Gallo 11) are waiting to spoil you. Get your hands on a tasty morsel, listen to some music and check out the in-flight movies. In no time at all you'll be hitting the runway at Punta Raisi Airport (PMO)! Based 12 miles (19 km) west of Mondello Beach, it's the neighborhood's most convenient terminal. 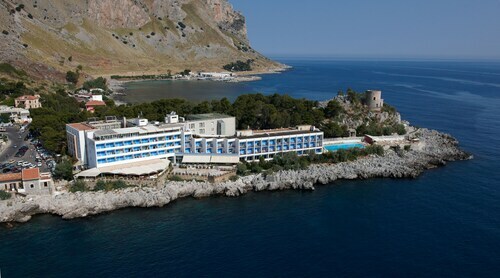 Offering direct access to the beach, this Palermo hotel is on the boardwalk and within a 5-minute walk of Mondello Minigolf and Mondello Beach. Capo Gallo Nature Reserve and Favorita Park are also within 1 mi (2 km). Situated by the ocean, this vacation home is within 1 mi (2 km) of Mondello Minigolf and Mondello Beach. Capo Gallo Nature Reserve and Favorita Park are also within 1 mi (2 km). 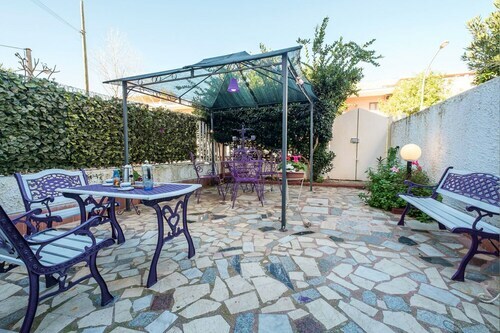 Situated in Palermo, this townhouse accommodation is within 1 mi (2 km) of Favorita Park and Mondello Beach. Mondello Minigolf and Capo Gallo Nature Reserve are also within 2 mi (3 km). Situated by the ocean, this historic apartment building is within 1 mi (2 km) of Mondello Minigolf and Mondello Beach. Capo Gallo Nature Reserve and Favorita Park are also within 1 mi (2 km). Situated by the ocean, this vacation home is within 1 mi (2 km) of Mondello Minigolf and Mondello Beach. Favorita Park and Capo Gallo Nature Reserve are also within 1 mi (2 km). Situated in Palermo, this romantic apartment building is within 1 mi (2 km) of Mondello Minigolf and Mondello Beach. Favorita Park and Capo Gallo Nature Reserve are also within 1 mi (2 km). Situated near the bay, this hotel is within a 10-minute walk of Capo Gallo Nature Reserve and Mondello Beach. Mondello Minigolf and Favorita Park are also within 3 mi (5 km). Situated by the sea, this villa is within a 5-minute walk of Mondello Minigolf and Mondello Beach. Capo Gallo Nature Reserve and Favorita Park are also within 2 mi (3 km).